Disclosure: Some of the products featured in this blog post were provided by Amara and Boho Luxe Home as part of the Merry & Bright Holiday Home Tour. All opinions, images and love of decorating with gorgeous pieces are 100% mine. If you read yesterday’s blog post about our plaid Christmas tablescape, it’s no surprise that I am waaaaay excited about our new farmhouse dining table. We built it (the first piece of furniture we’ve ever built – you can see the table building tutorial here), and we just love it. Which means I’m, of course, having way too much fun setting up festive tablescapes and centerpieces for well, just us. Ha! Today’s theme? Blue and copper Christmas! I just got these beautiful new Shabori napkins from Boho Luxe Home, and I wanted to use them for Christmas even if blue isn’t really a traditional holiday color. We have pretty vintage blue ornaments (from my grandparents) on our Christmas tree in the dining room, so blue napkins seemed like a perfect fit. Today’s post is part two of three of the Merry & Bright Holiday Home Tour series hosted by Shelly of ConfettiStyle. Last week, I kicked off the series by talking about everyday pieces that can double as Christmas decor, and with the blue and copper pieces in today’s tablescape, it seems I’m just keeping that theme going. Hey, budget decorating is the best! If you’re hopping over from M.Jones Style or one of the other fabulous bloggers, welcome! I’m happy you’re here. You can learn more about me and the blog here, tour our house here or see all of my Christmas decorating posts here. I have links to all of the other bloggers sharing Christmas decor at the end of this blog post so remember to hop around to check them out! This also explains why we don’t have any chairs at our table – we’ve been using folding chairs for now, but they don’t add much to the photos so they were hiding around the corner. Alright, onto the coastal Christmas cheer! We’re a bit lacking on table runners, placemats and chargers since we didn’t have a big dining room table before. In the meantime, I’m using a pretty brown scarf as a table runner, and I have to say, it looks great and works just fine! The lace gives the table a bit of an elegant feel. I pretty much based the entire table around the new Shabori napkins and decided I’d go with a blue/green/neutral/metallic theme (that’s a lot of colors now that I write them all out). My friends Kellie and Melanie own Boho Luxe Home (learn more about their cool backgrounds here). They have such a gorgeous selection of colorful fabrics, which are available by the yard so you can turn them into napkins, tablecloths, tree skirts, whatever you want! I left the Moscow Mule mugs up from our plaid Christmas tablescape, because I firmly believe Moscow Mule mugs are perfect any time of year. Which led me to bringing out these pretty new copper and marble candleholders. I love the mix of the two materials! And do you spy the copper handle on that metal basket in the background? That was a total accident, but I’ll take it. For height in the center of the table, I snagged this mini white Christmas tree that was on the coffee table in our Christmas living room (nothing is safe around here). I love it in here, too. It adds to the coastal vibe. I put it on that little wood slice for extra height. I added these little Christmas trees to each place setting to make it a bit more festive. Since you really can’t have too many candles out this time of year, I grabbed a few of my favorite votives. The green glass ones were from Goodwill of all places, and the glass/beaded ones were from Kirkland’s over the summer. They look just as good in here as they did on the summer patio table and the Christmas mantel. I love the cozy glow the candles give off as it starts to get dark. 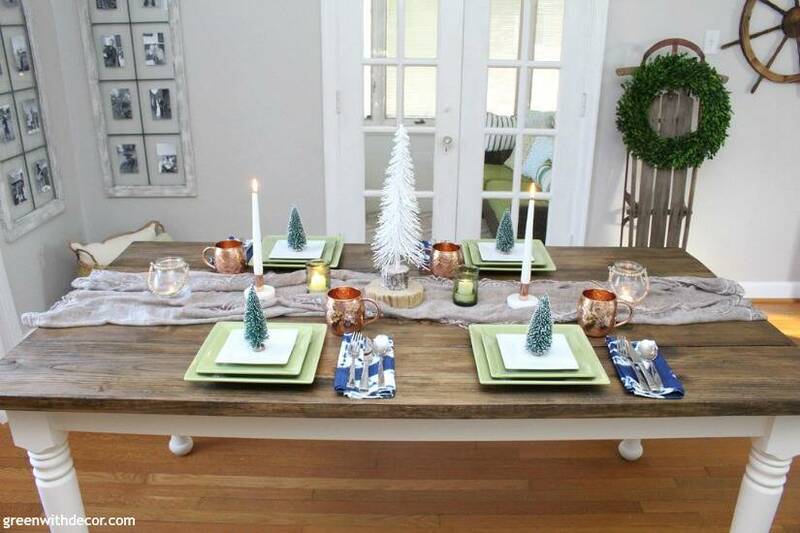 One of my favorite parts about this centerpiece/tablescape setup is that it would really work for any season. Just remove the Christmas trees and add some flowers in the middle of the table instead. Gotta love that. I talked about this vintage sled yesterday, but let’s take another peek in case you missed it. I just found this at a vintage store for only $45!! I can’t stop starring at it. Aren’t the reindeer Advent calendar and snow globe cute?! You can also see how I used these pretty pieces in our Christmas living room here. I love the scarf as vase filler in with the hydrangeas, too. So cozy. This seagrass basket looks perfect in the corner underneath our windows turned picture frames. I just gave them a dry bushed look to lighten them up a bit. 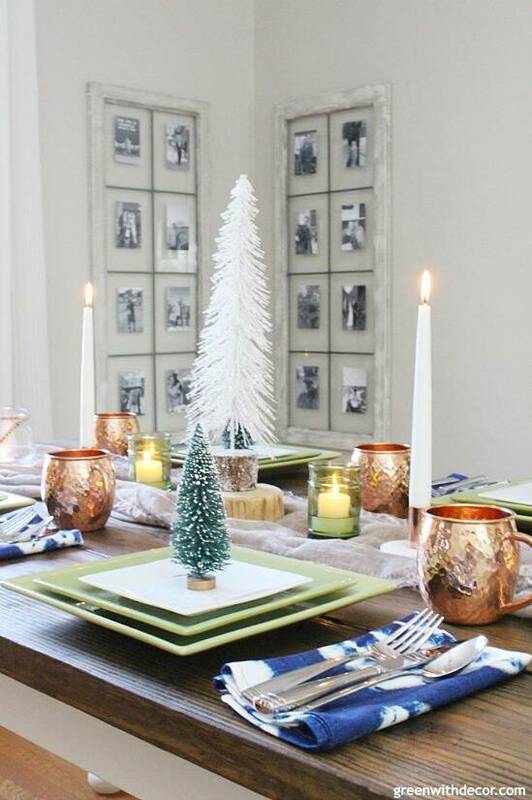 Have you decorated your dining room for Christmas yet? 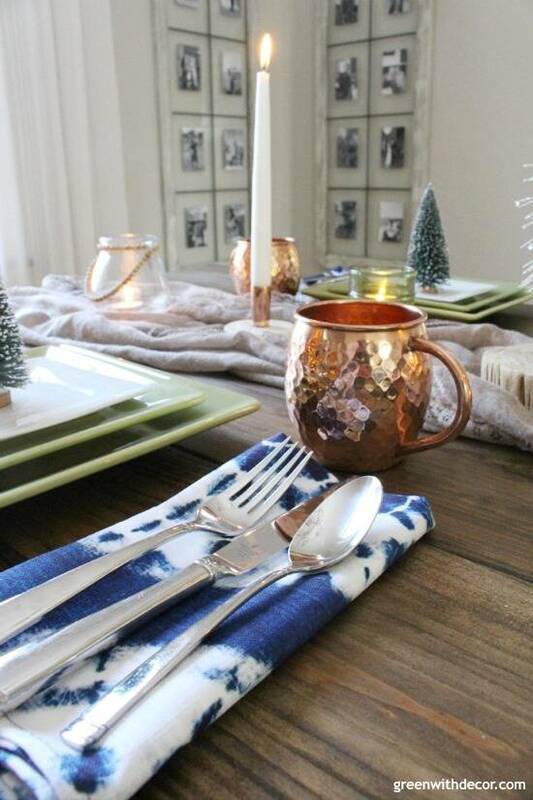 Are you into the blue and copper tablescape idea or going more traditional? Or are you mixing it up and doing a few tablescapes, too? I’m up to two Christmas tables already and might have to keep playing around and setting up a few more! It’s way too fun. You can see all of the other bloggers’ Christmas decorating ideas here. Hop over to Rover At Home (also known as Melanie fromBoho Luxe Home) next! You’ve done such a nice job with the tablescape. I positively adore the scarf as a table runner! The napkins are the perfect addition with your tablescape! Thanks, Tamara! I love the scarf with the napkins! Your tablescape is yet more proof that decor doesn’t need to be elaborate or over-the-top to be beautiful. Three cheers for gorgeous simplicity and your amazing work! And I am just loving those shibori napkins…. 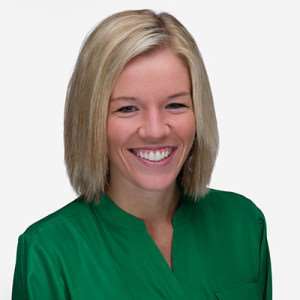 Thanks so much, Kate! I’m loving the napkins, too! Wow Meg, the table your made is just awesome. And your holiday tablescape is beautiful. I love your eclectic mix of colors and how the copper touches just make it all pop. Great Job. Thanks so much, Shelly! We love how the table – and the tablescape – turned out! Meg, lovely Tablescape and the table you and your mate made is amazing. Love the napkins from SmithHonig…wink!